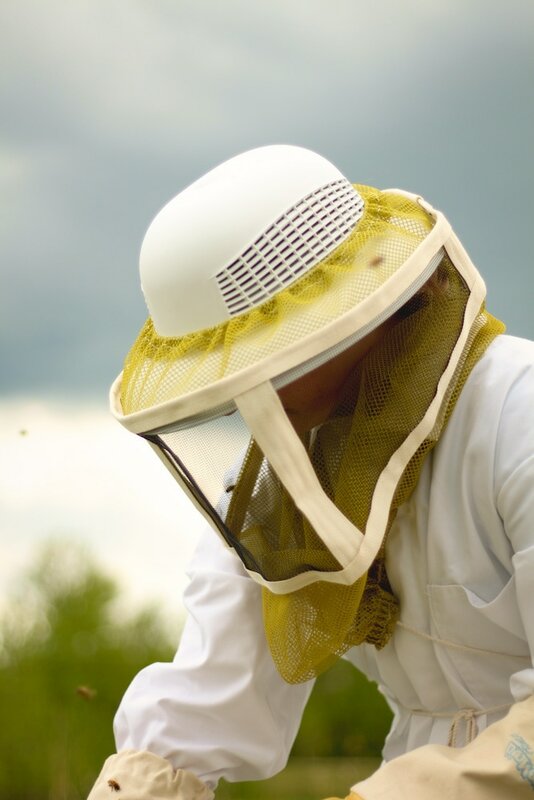 Beekeeping is in our blood. 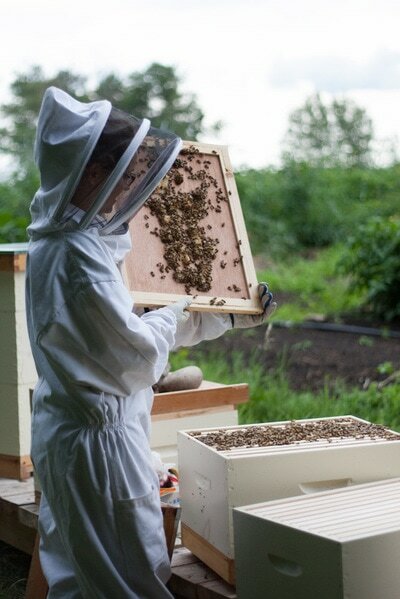 With beekeepers four generations back on my mother's side, it was only a matter of time before I tried it myself. 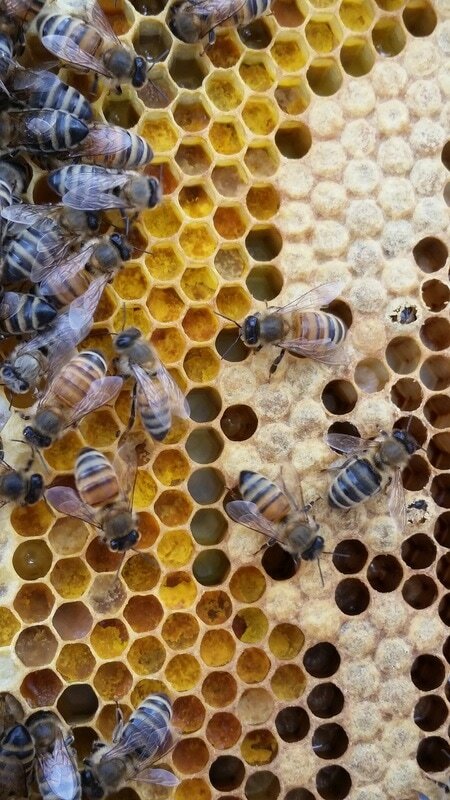 Now my dad and I do the beekeeping together, and we are constantly learning new things from these little ladies! The bees have a special sort of pull that just draws you in so you can't help but be fascinated by the inner workings of the hive. 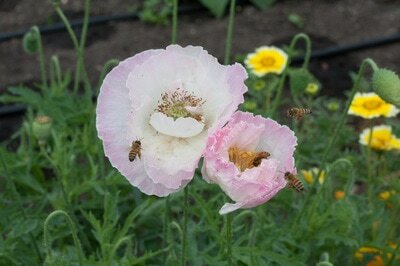 The bees are also a perfect match for our garden and their studious nectar-collecting is a welcome boost to our crops. And the honey is incredible! 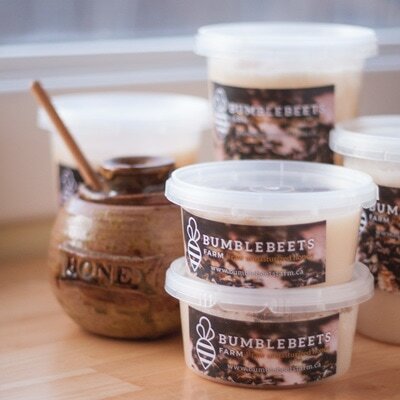 We believe in the healing nature of raw, unprocessed honey, just as the bees designed it so we never pasteurize. Raw honey is incredibly anti-bacterial and has been used in herbal medicine for millennia for its potent healing properties. 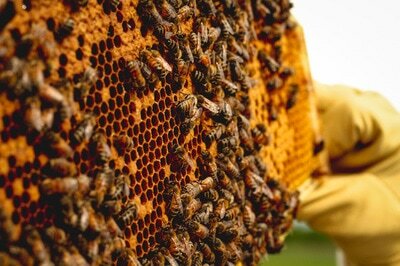 This stuff truly is amazing and we feel very lucky to be able to steward such wonderful creatures as honeybees. Honeybees have an incredibly sophisticated and democratic social system and there is still a lot we don't know about them. These little creatures are so intriguing and with so many bees dying, each new discovery is extra exciting. The bees deserve our respect so we strive to take good care of them. This is ethically produced honey. We make sure to leave the girls plenty of food to get through the Winter and we keep the hives in good condition so they stay warm and dry. 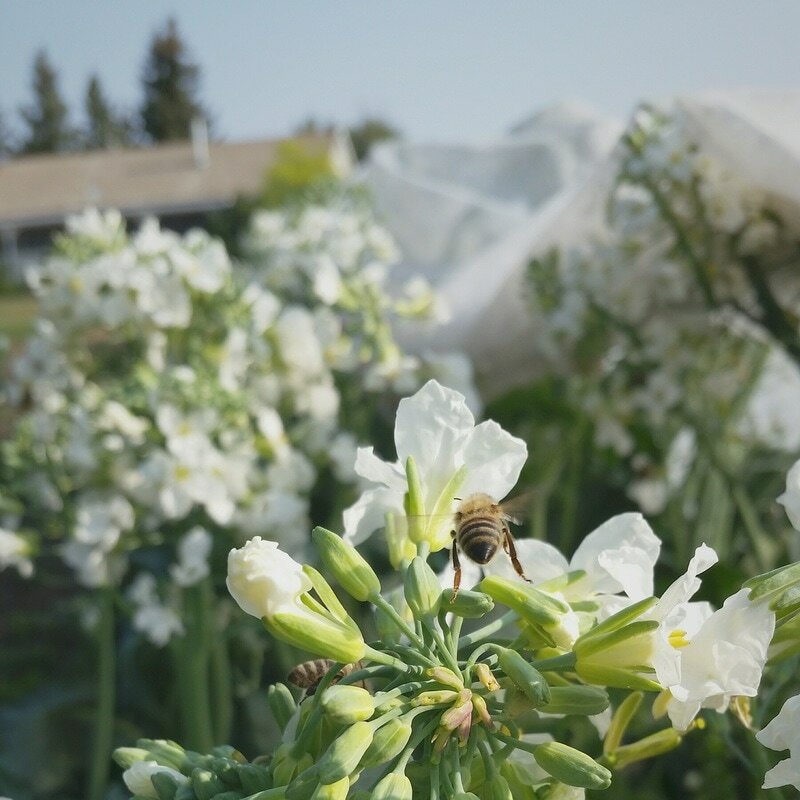 We believe bees are made to live on honey, not sugar water, so we only feed when nectar is scarce and a supplement is necessary. 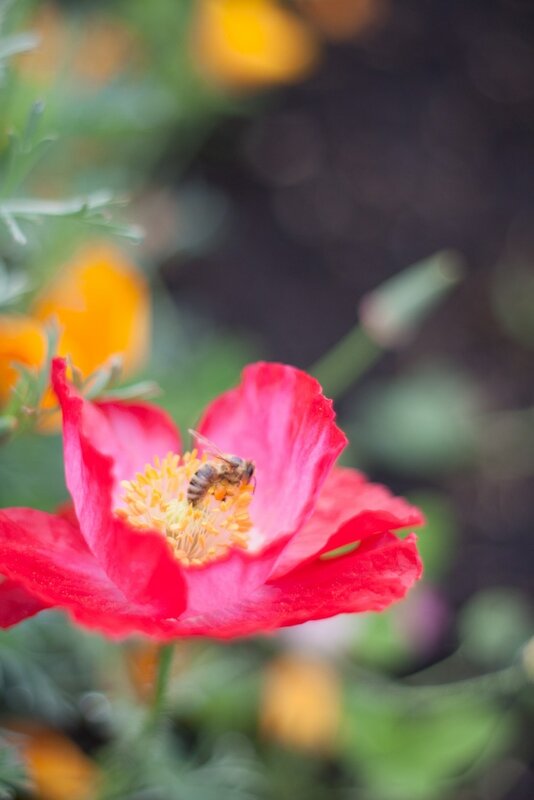 We treat for mites and diseases to protect our hives, as well as those of other apiaries around us and the native bee populations.